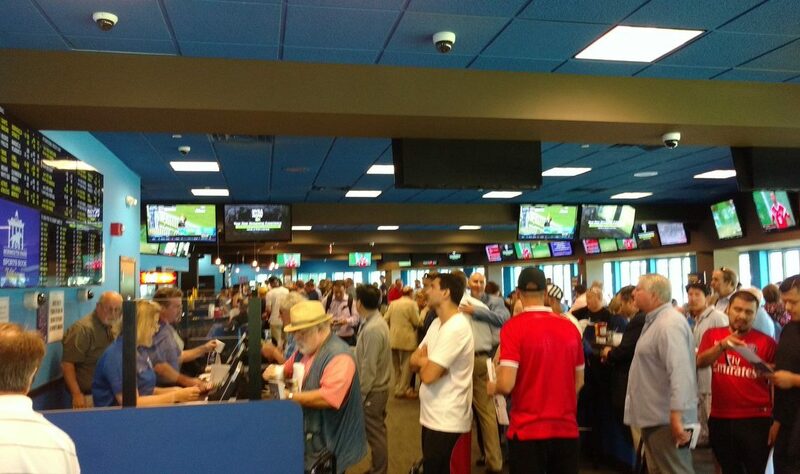 At the William Hill Race & Sports Book bar at Monmouth Park on June 14. After reviewing the numbers closely, we can draw some conclusions and lessons, and take a stab at identifying how things may unfold in 2019 and beyond. The takeaways are not only for our edification, but may also be instructive for operators, lawmakers in states now weighing legalization and sports bettors alike. Here we consider who were the market leaders, how things evolved over the course of the year, how different properties compare and how partnerships worked out. Without further. It is unmistakable that mobile and web-based sportsbooks are the present and future of sports betting. From early August when DraftKings Sportsbook became the first online NJ sportsbook, there is an uninterrupted straight upwards line showing a shift in the overall percentage of betting handle from in-person sportsbooks to the Internet. From 23 percent in August to a whopping 76 percent in December when, yes, it’s cold in New Jersey. Does this mean there’s no appetite for the in-person sportsbook experience, the camaraderie, big screen TVs and actually holding a ticket and turning over cash? Of course not. Bettors still wagered more than $73 million each month from August forward. 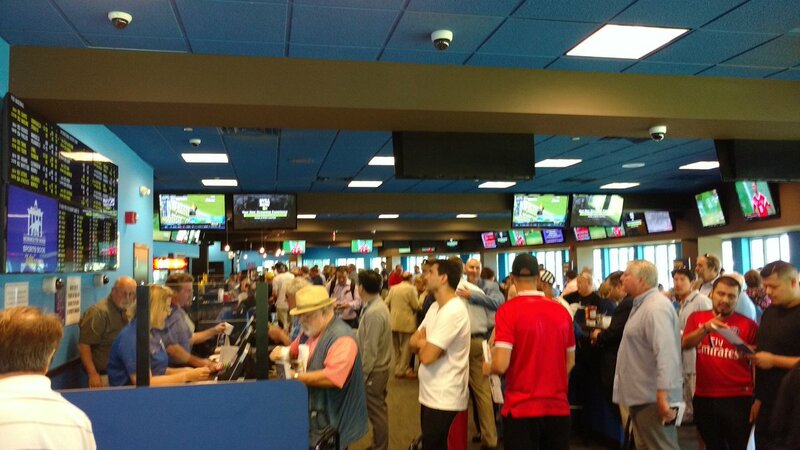 Also consider the possibility or likelihood that people are sitting in sportsbooks and using their mobile phones to place wagers online — at the sportsbook where they’ve plopped down or one connected to the property down the block, where there’s a better line or price on the same game. 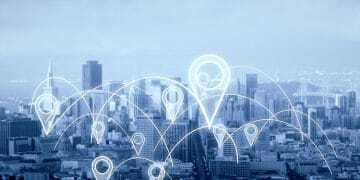 What accounts for the online boom? Accessibility, convenience, ease of funding with PayPal, ACH and other forms of electronic payment rule the day. All of the online sportsbooks offer at least a few good options for funding an account and withdrawing, which is certainly a shift for a lot of bettors who have migrated over from offshore sportsbooks, where funding and withdrawals often require circuitous and dicey pathways. Also, credit the New Jersey lawmakers and regulators for getting the tax rate right and fostering a good atmosphere for operators and bettors alike — with an 8 percent tax on in-person wagers and 13 percent for online wagers. The pricing licensed sportsbooks have offered online, with some exceptions, are consistent with what’s available offshore. Licensees are profiting and have shown they can comfortably compete against the unregulated market for patronage in New Jersey. It remains to be seen what effect, if any, the 36 percent tax rate that Pennsylvania levies on operator gross revenue will have on sportsbooks there. The pricing in the home of the Ruffed grouse so far is largely commensurate with what we’ve seen in New Jersey. But sportsbooks there only launched in mid-November, so data is limited. The weight of the tax may ultimately mean that it’s just less profitable to operate there, resulting in fewer jobs connected to sports betting, less marketing dollars spent to generate new clients, or perhaps eventually inferior pricing. In any case, it appears New Jersey found the sweet spot for operators and bettors alike. And then there’s the benefit of allowing each licensee to offer up to three “skins” online. It’s difficult to draw conclusions there so far as the revenue reports don’t parse out revenue generated by each individual sportsbook online, but more competition ultimately benefits the consumer and likewise should benefit the licensees who can see which sportsbook partners are performing best for them, then consider why. Furthermore: Unlike Nevada, NJ allows account registration remotely — another convenience that allows bettors to download and register multiple sportsbooks without having to road trip around the state. They can find one or several they enjoy best and perhaps remains patrons longer. FanDuel and DraftKings moved quickly and aggressively in New Jersey, and it has paid. 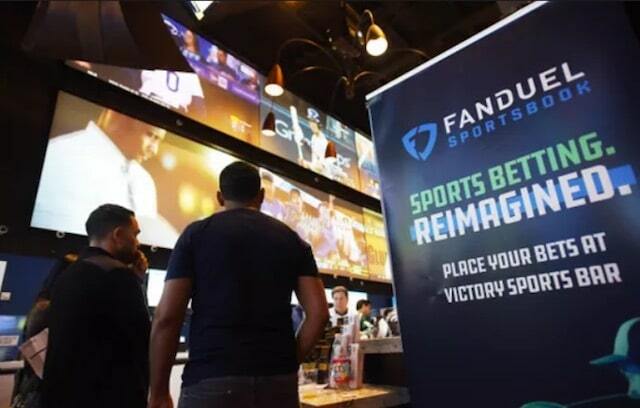 The FanDuel Sportsbook at the Meadowlands Racetrack, just eight miles from New York City and in a densely populated area of New Jersey (well, most areas are) almost doubled the nearest competitor for revenue at its brick-and-mortar sportsbook: $16.12 million at that location against $8.97 million at Monmouth Park, with third place, the MGM-owned Borgata, generating $5.94 million. How much is a credit to the operation itself, the quality of the in-person experience — it’s a nice lounge with scores of TVs — or proximity to New York? Hard to say, but overall the formula is working. 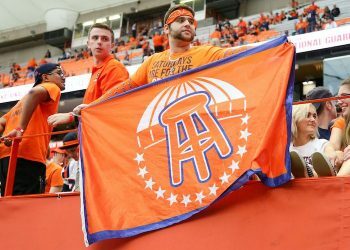 We heard rumors that FanDuel paid in the order of low eight figures for the privilege of operating its first sportsbook in the U.S. at the Meadowlands, and the juice has proven worth the squeeze. Not just for the revenue generated so far (we’re unsure of what percentage FanDuel itself keeps) and in the future, but to demonstrate for to-be licensees in other states that it’s a desirable partner. Its DFS competitor DraftKings has likewise performed exceedingly well — mainly online, where FanDuel ranks second for revenue, as you can see from the chart. We estimate roughly 95 percent of Resorts Digital revenue comes from DraftKings Sportsbook than the other Resorts skin, BetStars NJ, which has a much small user base and came online more than two months after DraftKings. DK and FD combined account for roughly $42 million of the $53 million generated through the online sportsbooks, or about 80 percent. We expect an upgraded MGM sportsbook, the addition of PointsBet, and Hard Rock’s expected introduction of Bet365 to chip away at that percentage, but probably not that much. It’s pretty incredible that almost overnight both sportsbooks became a juggernaut — just about 18 months after the Federal Trade Commission rejected their attempt at a merger on account of a would-be DFS monopoly. playMGM is the company’s mobile sports betting app. Dovetailing with the DraftKings and FanDuel dominance, look at the sluggish performance of the Las Vegas-based entities in comparison. Less than $1 million revenue online each for the Caesars properties, MGM and Golden Nugget. Put simply, their offerings are inferior. They haven’t marketed much and it appears they weren’t prepared. The playMGM sportsbook only was available for Android users at first, for about two months before it could support iOS systems, and it still doesn’t have a web-based platform. It’s pricing is good but the platform itself feels more like Windows 98 while the DFS players are Windows 7 (they still have a ways to go before earning the Windows 10 comparison). Sports betting revenue is a very small percentage of the overall casino operation, perhaps accounting for the slow debuts for the established companies. MGM has prioritized establishing friendly relations with the sports leagues, for cachet and access to user bases, with the pro sports leagues. We’ll see if it pays dividends down the road. On completed events, the New Jersey sportsbooks kept 5.8 percent, which is right on line with Nevada’s mature market — 5.52 percent from 1992 to present. When the futures bets are graded, and after adjustments (which together account for a roughly $22 million difference), it probably will be in the 6.5 percentage range. The pro sports leagues — attempting to seize as much of a percentage as it can in the form of an “integrity fee” or “royalty” or “small fee” or compensation — should take note. They have argued that in newer markets, sportsbooks can generate in the order of 10 percent or more in an attempt to influence lawmakers to kick them a percentage: At a cost to other businesses and probably the consumer to some extent. The nearly decade-long fight against the 1992 federal ban on full-fledged sports wagering outside Nevada was worth it. It has already recouped $10.3 million in the form of state tax revenue — without having to levy a new tax on citizens! Some observers have predicted that New Jersey will outstrip Nevada’s overall betting handle — about $550 million a month — sometime in the next year or three. Remains to be seen. There are scores of professional bettors and wannabes based in Nevada putting down a lot of money. Nevada is and will remain an international tourist attraction for its rich convention space, restaurants, shows, the scene and the Strip and more. Atlantic City, in the midst of a mini revitalization just can’t compete with that, and so maybe expectations should be tempered. New Jersey does have has triple the population and proximity to New Yorkers, who may be waiting until 2021 for their access to mobile/online sportsbooks. 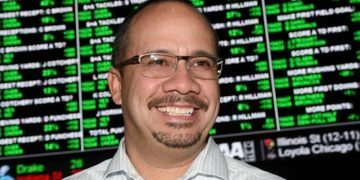 If the current pace holds, total betting handle ought to reach about four billion in 2019, spelling about $33 million for New Jersey’s coffers, and perhaps about $240 million in gross revenue for the books combined. Not bad.